Have you heard of IFTTT? If you do and love it, the chances are you will love Microsoft Flow more. If you don’t, let’s keep reading as what you about to find out may blow your mind. 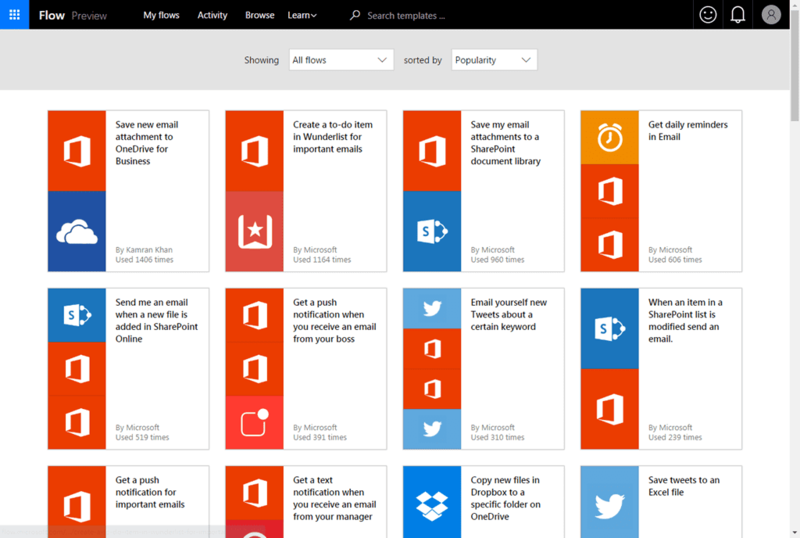 If your daily work involves some predictable patterns and heavily rely on Microsoft’s office suites *and* you have an Office 365 account, whether personal or from work. 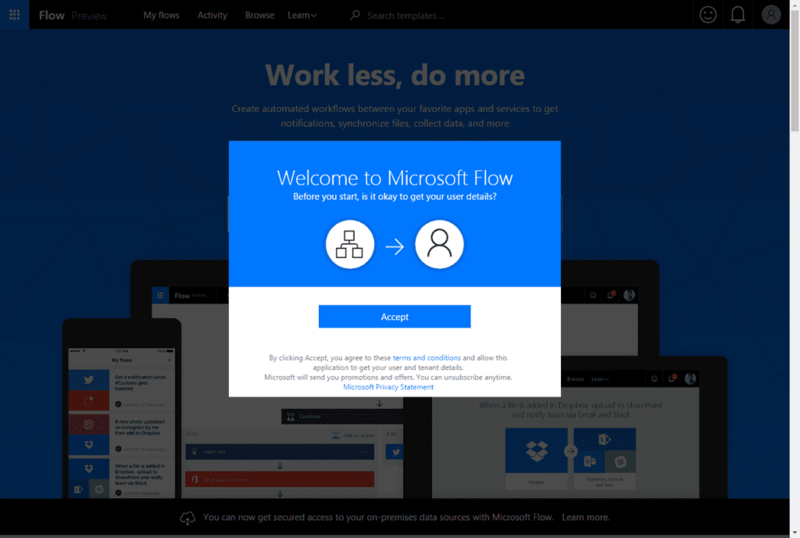 Then you should invest some time into Microsoft Flow because the time you are going to invest in this tool will pay off exponentially in the future. An example of this would be, automating the process of backing up a working Excel spreadsheet to a remote SFTP site on a daily basis. Go to https://flow.microsoft.com/ and sign up with your Office 365 account. 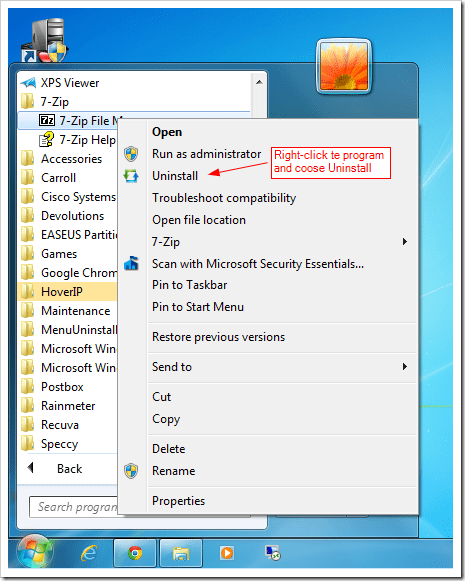 Note that this does not work with regular Microsoft account such as @outlook, @live or @hotmail accounts at the moment. Once you are in, you will find a list of workflow automation tasks ready for you to deploy and hook up the tasks. If you have used IFTTT, you will find many similarities between both of the services. 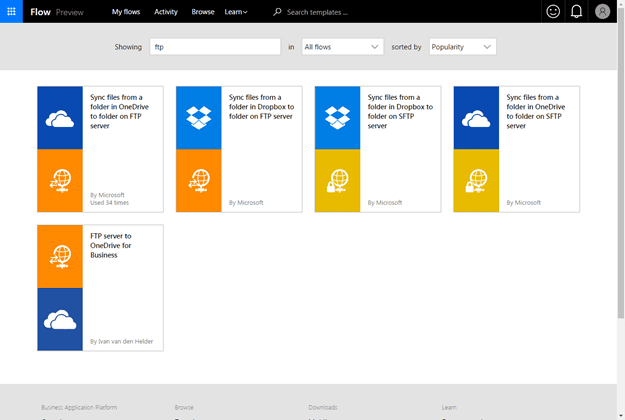 There are over thousands of “Templates” in Microsoft Flow, which are the same as “Recipes” in IFTTT, many of which are tightly integrated with Microsoft’s line of product. On top of deep integration between existing Microsoft’s first party products like Office, SQL, and Dynamic, there are additional third party integrations you might find extremely useful. 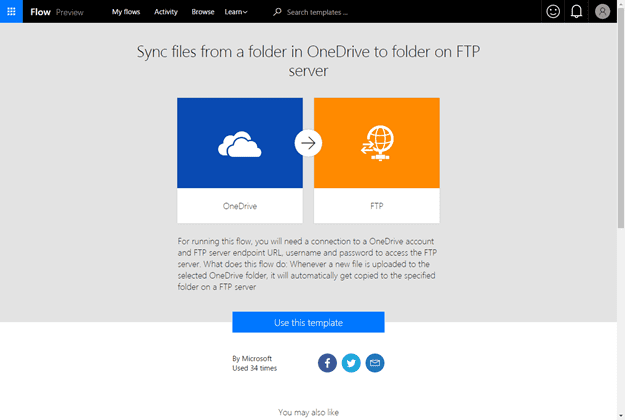 If you have data are stored on a remote FTP or SFTP site, Microsoft has templates that allow such integration. 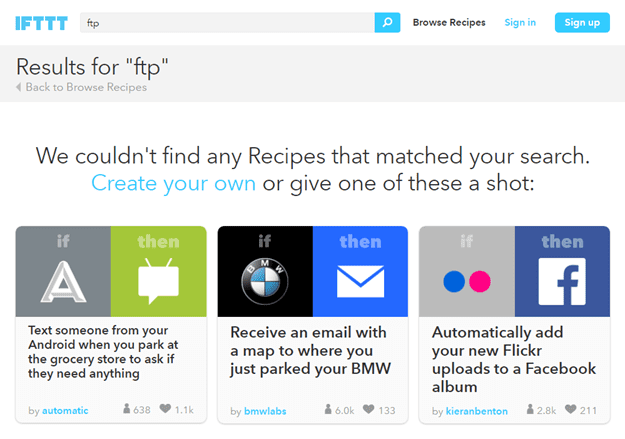 In contrast, I’m a little surprised that IFTTT has no recipes that can work with FTP. 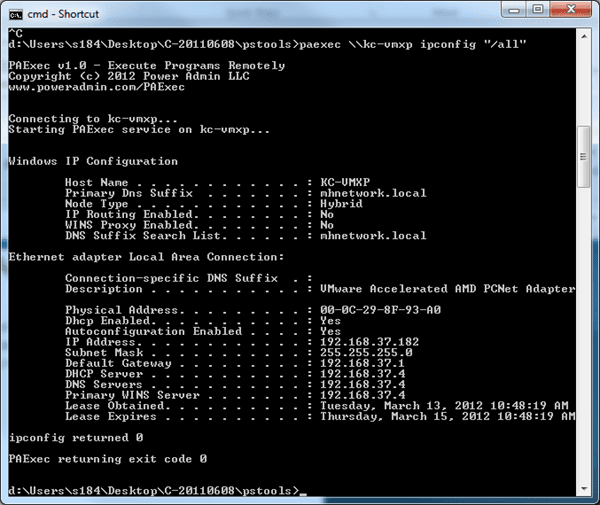 A quick search yields no relevant recipes that sync file between FTP/SFTP. 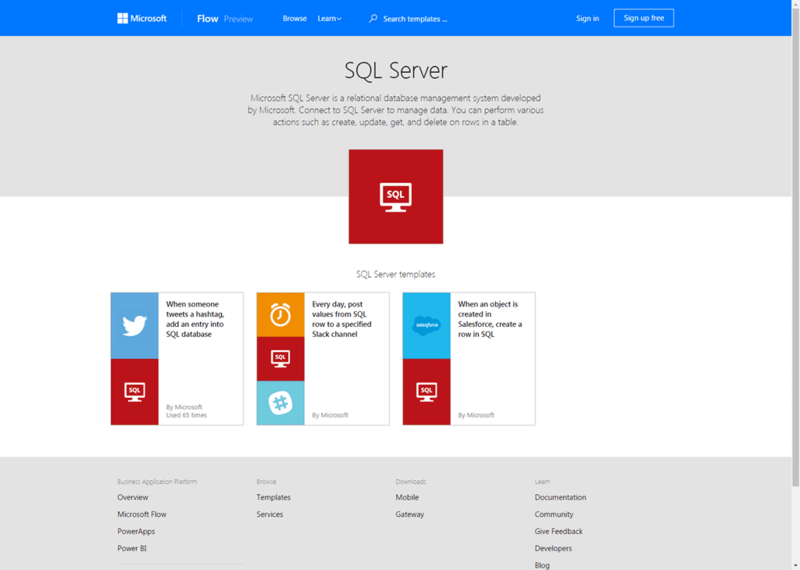 Microsoft Flow also offers some templates that you can’t find on IFTTT, such as SQL Server integrations. Also recently, Microsoft has added Google service supports, instead of Excel you can also target to Google Docs. There are also documentation and tutorials showing you how to integrate your custom API with Microsoft Flow. If you are interested in making your daily life a little more like riding on a cruise control, then be sure to check it out. Time to invest some time on it. In the UK at least, this is restricted to School or Work accounts. It does not accept my personal Office 365 account. I like the idea, but IFTTT is designed for the non-power user in mind. Flow seems to have a lot of tools & customization available, but wading through it all is difficult, if not impossible, for folks like me that don’t know all the ins-and-outs of SQL query language or VBL. I’ve been trying to create a Flow that would send a daily agenda of my Office 365 calendar to my personal email, and I can’t get the thing to work.